Experience an additional 7.6 horsepower and a weight loss of 5.5 lbs on 2013-16 models (reduces weight by 3.7 lbs on 2011-12 models) with this Stage 2 Kit from SLP. This kit features a single pipe set that includes a pipe and silencer, a High Flow™ Intake Kit for maximum airflow, a PCFC with SLP pre-programmed map for proper fueling and an SLP Power Shift™ Clutch Kit to get the horsepower to the ground. Experience an additional 7.6 horsepower and a weight loss of 5.5 lbs on 2013-16 models (reduces weight by 3.7 lbs on 2011-12 models) with this Stage 2 Kit from SLP. 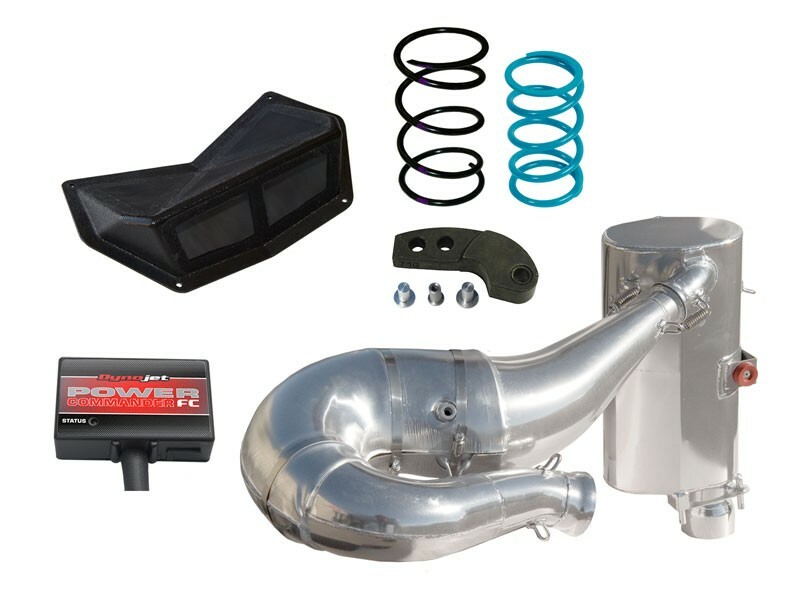 This kit features a single pipe set that includes a pipe and silencer, a High Flow™ Intake Kit for maximum airflow, a PCFC with SLP preprogrammed map for proper fueling and an SLP Power Shift™ Clutch Kit to get the horsepower to the ground. NOTE: We recommend adding Powder Valves™ for maximum performance in deep snow conditions.